We're excited to announce our 2nd Annual Open House will be on Friday, April 26th, 2019 from 11AM-4PM. Join us at 16406 US 224 E, Suite A Findlay, Ohio 45840! RSVP to Deborah Mericle or by calling 419-299-3774. 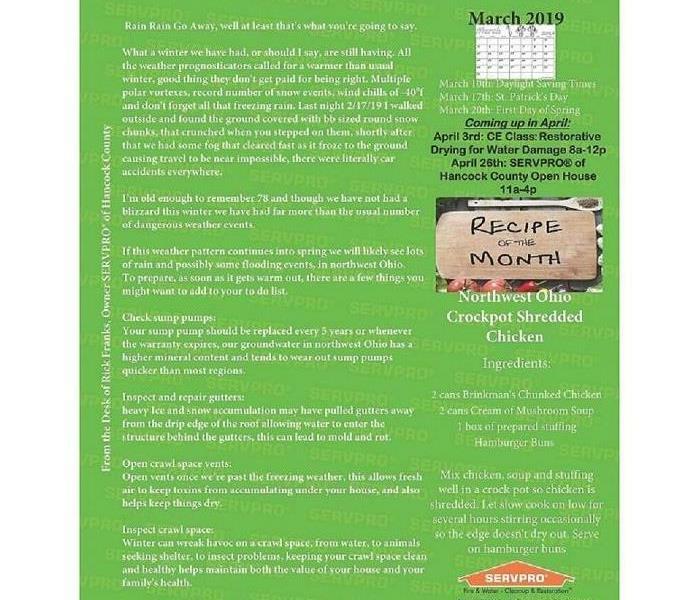 Here we have our March 2019 Newsletter. Our owner, Rick Franks shares some great ideas for things to check out around your home to help avoid water damage. Remember, we're here to help so if you have any water damage, fire damage, mold remediation or need any other assistance, just call us at 419-299-3774. We were pleased to bring lunch to our North fire station last week. Thank you to our First Responders! We truly appreciate your dedication! 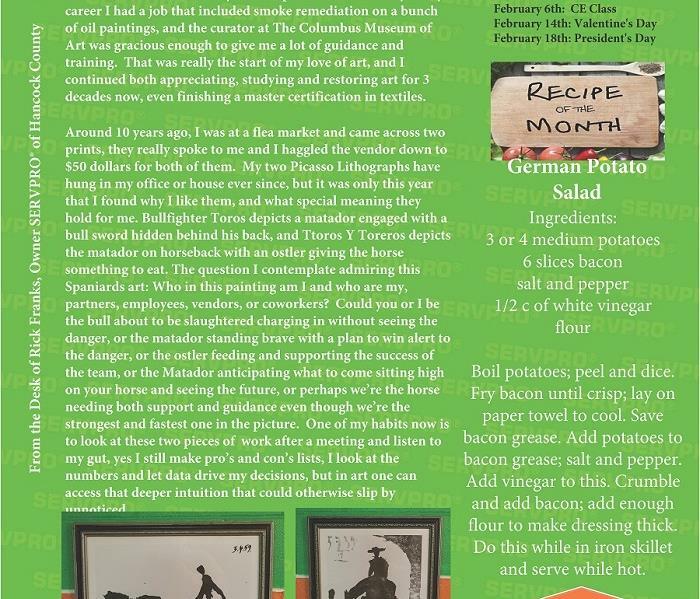 Attached is our newsletter for February. Our owner, Rick shares his love of art and how he applies it to life and business. 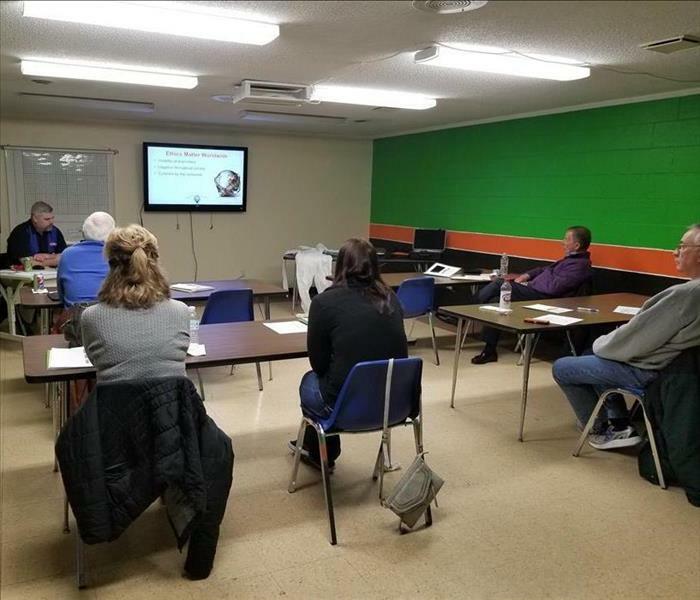 Rick Franks, Owner of SERVPRO® of Hancock County and Angie Perkins, Marketing Representative brought dinner to a training event for Liberty Township Volunteer Fire Department. Thank you for your service to our community! 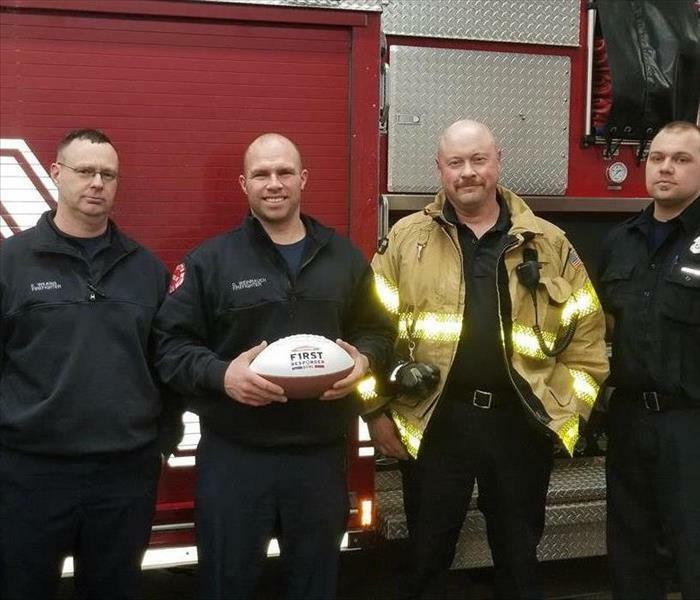 We appreciate our First Responders! 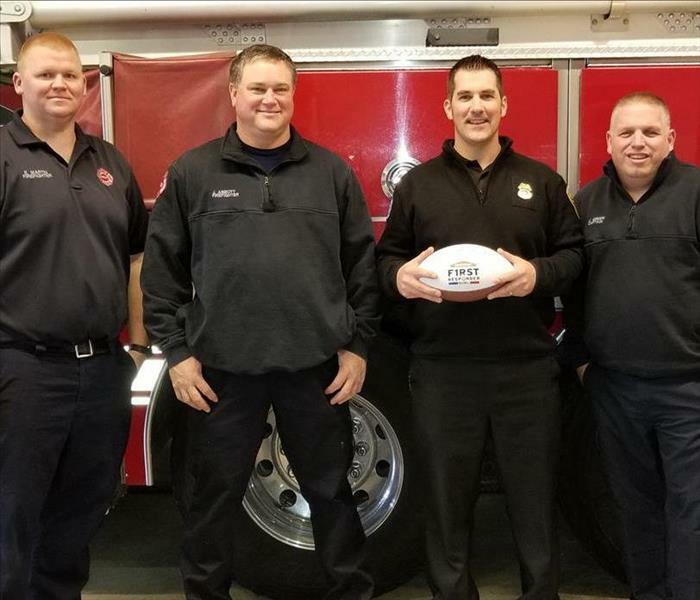 Our Marketing Representative, Angie took City BBQ to Findlay South Fire Station for a yummy lunch and gave them a First Responders Football. Thank you to all the First Responders for keeping us safe! Happy New Year! Hot off the presses we have our first newsletter of the year! Can you believe December is already knocking on the door?! Our December Newsletter is hot off the presses! 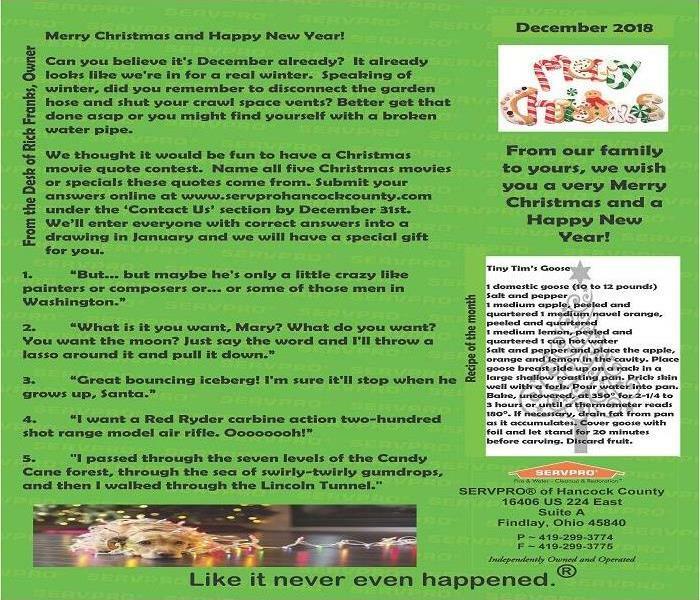 Rick Franks, owner of SERVPRO® of Hancock County brings the fun in to our newsletter this month. On the newsletter are 5 Christmas Movie questions. Answer them all correctly by December 31st, 2018 and submit by using our 'Contact Us' section from www.SERVPROhancockcounty.com. Answer all correctly and you'll be entered into a drawing for a prize in January 2019. Rick also shares with us 'Tiny Tim's Goose' recipe for a great Christmas meal. As always at SERVPRO® of Hancock County, we're here to help! Feel free to reach out to us at 419-299-3774. This is the aftermath of water through wood flooring. With any water damage, you want to be sure the area is dried properly to avoid microbial growth. 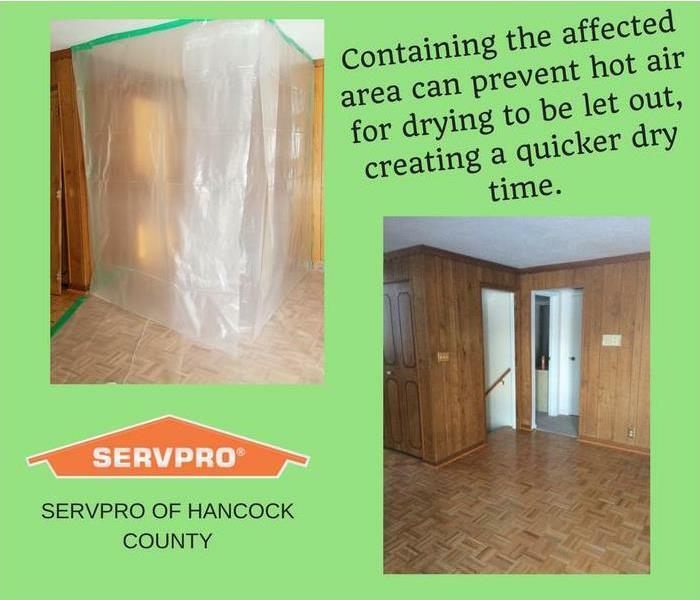 SERVPRO® of Hancock County always follows IICRC standards to assure proper drying is taking place. Feel free to reach out to us at 419-299-3774 or by email to Chase, our Production Manager, at cperkins@SERVPROhancockcounty.com for any of your mitigation needs. Our November Newsletter is available for viewing. Rick Franks, owner of SERVPRO® of Hancock County discusses our mission and purpose. He shares how we fixate on what goes wrong as opposed to what impacts us and blesses us. As the holiday season comes upon us - it's important to remember why we do what we do. He breaks down his thoughts on how this affects insurance adjusters and realtors. 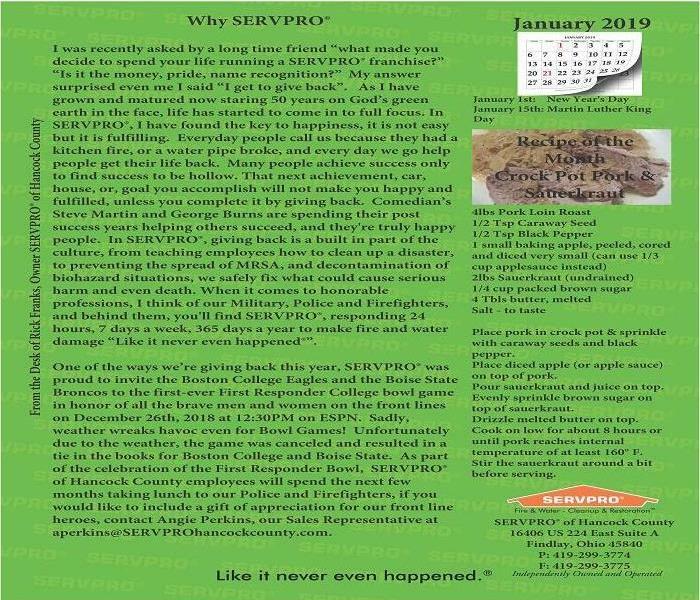 We, at SERVPRO® of Hancock County, reflect regularly on our mission vision and purpose. Rick shares, "Making a difference is what we all want to do, being purposeful in making a difference is how you lead." From all of us at SERVPRO® of Hancock County - Happy Holidays! Our demo booth is ready for our insurance agents who are joining us for our CE class. During our onsite CE classes, we offer an demonstration for our participants. This demo booth is to show the effect of smoke damage and how to properly clean it. With the Holiday season quickly approaching, our owner shares his insight. 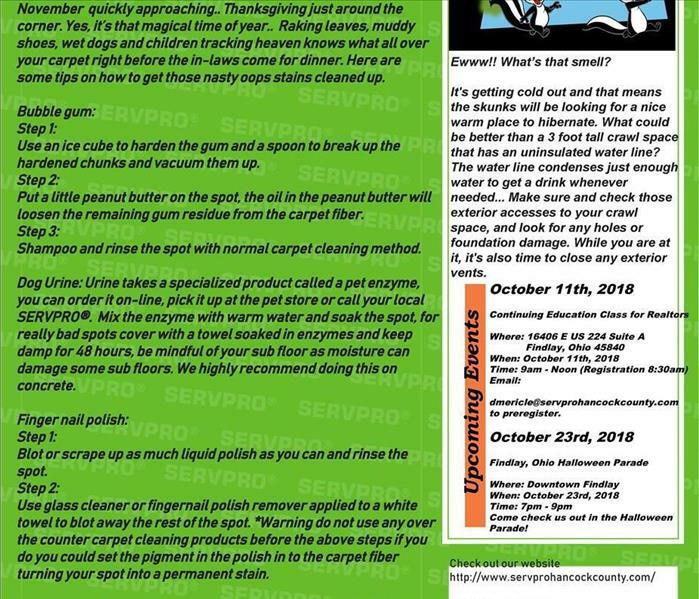 In this edition of our newsletter, Rick Franks, owner of SERVPRO® of Hancock County shares some tips for common carpet stains. On Thursday, October 11th we were happy to be joined by local realtors for our continuing education class. Our owner, Rick Franks shared his vast restoration knowledge conducting the class. 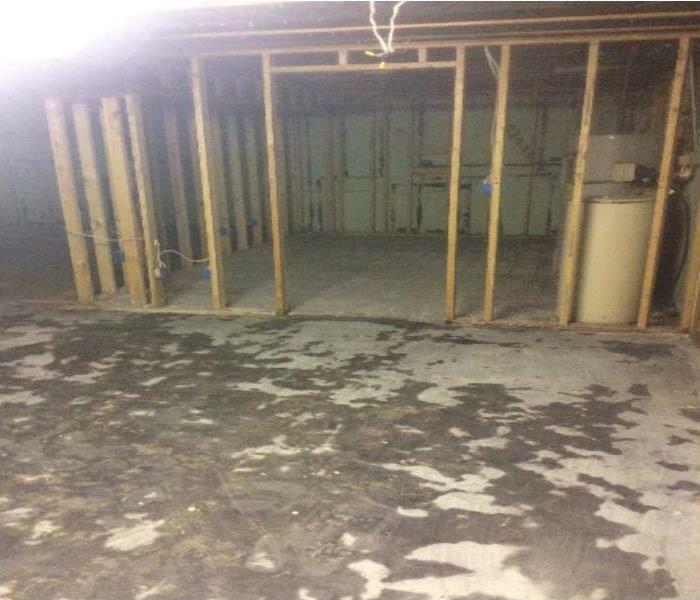 This picture, in Forest, Ohio, shows the final stage of our Mold Remediation process. After demolition is complete, we spray seal the stud walls where water and growth was previously affected. SERVPRO® of Hancock County is always here to help. 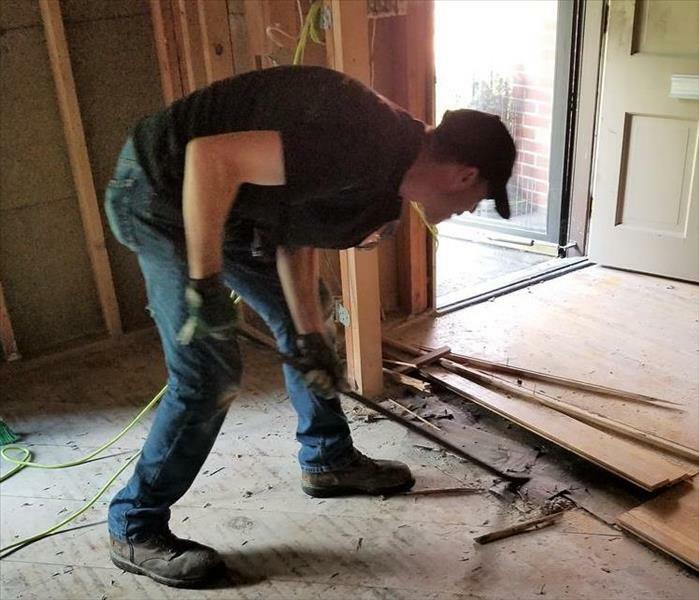 "Like it never even happened.®"
Our crew member, Jamie works hard on removing a wood floor from a client's home. Whatever the situation is, we're here to help. 'Like it never even happened®'. 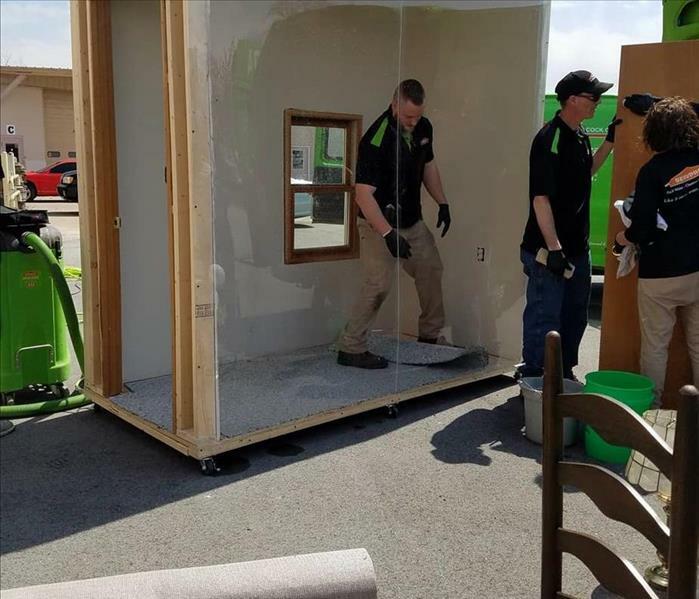 Our smoke damage demo room was a hit at the 1st Annual SERVPRO of Hancock County Expo!We had our team perform water extraction, smoke/soot removal, carpet and padding removal, and contents clean up. We are going to be performing a fire and smoke demonstration at our Expo on April 27th. 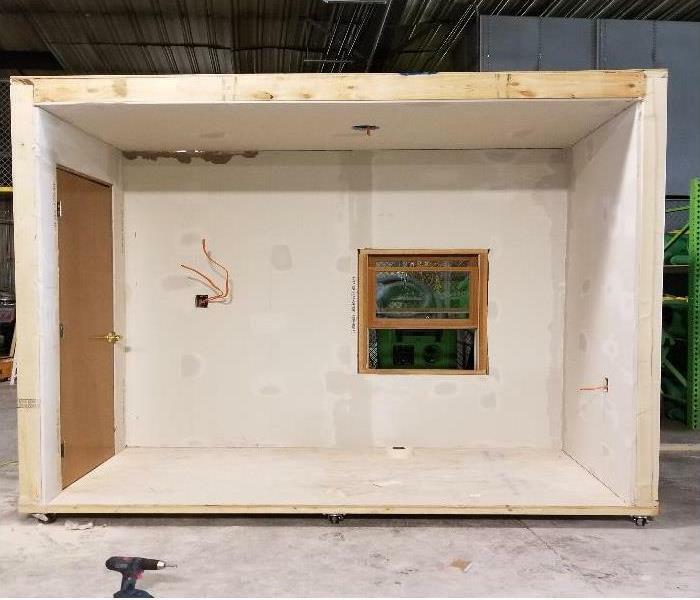 Here we have built a replica room, in which we will demonstrate to our audience how we go about a fire damage job. Our crew finally had a day with nice weather to perform grill hood cleaning at Keith's Dugout, here in Findlay, Ohio. After Keith's Dugout experienced a fire, most of their equipment was left with a soot and smoke residue. While our team was able to clean all other equipment in our warehouse, the grill hood needed to be power washed from the entrance on the roof. Keeping the grill hood clean and free from debris is important for safety and cleanliness of the restaurant and the guests. This is the debris catcher prior to the cleaning. 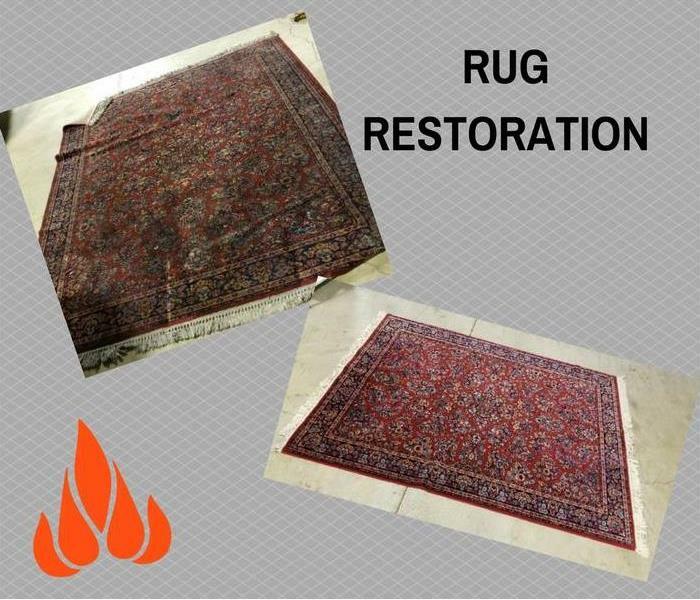 Visit our before and after section to see what the cleaning process looks like! Our team specializes in water restoration and clean up. 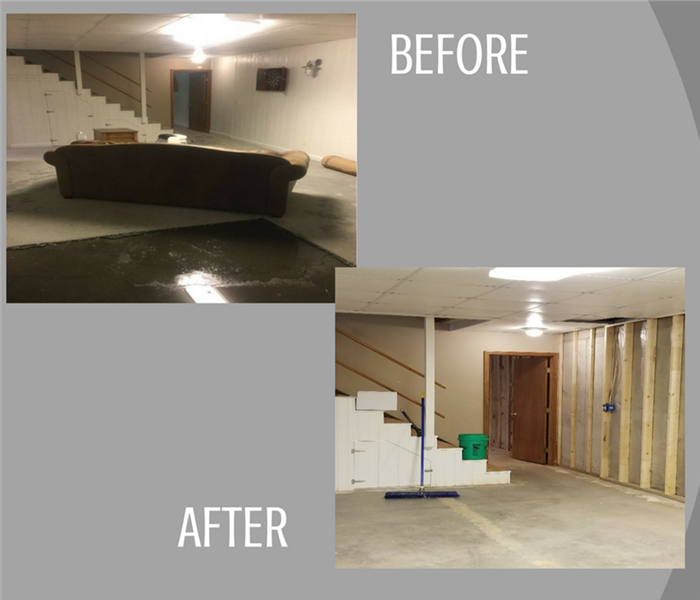 Flooded basements are no match for our team. See here how we've prepared this home for renovations. Located in Findlay, Ohio. 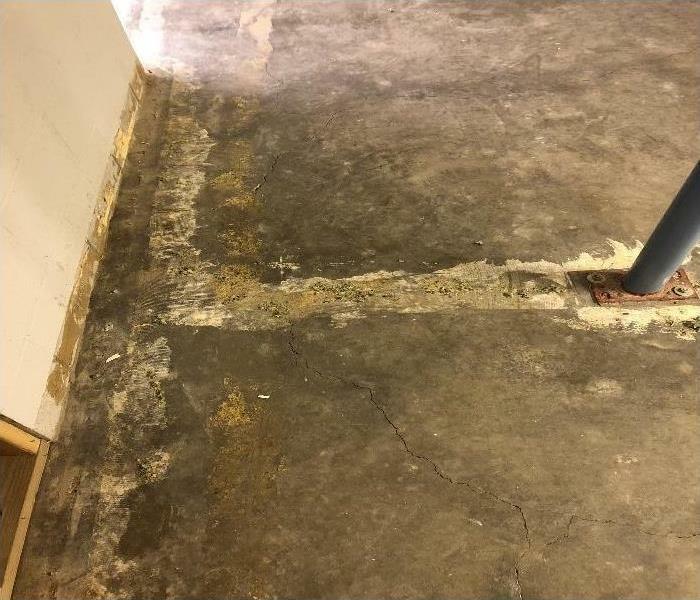 When you experience a water loss, in many cases, the flooring and/or padding needs to be removed. Once our team sees that the padding will need removed, they perform removal and properly rid of the debris. This is what the floor typically looks like under basement flooring with removal. 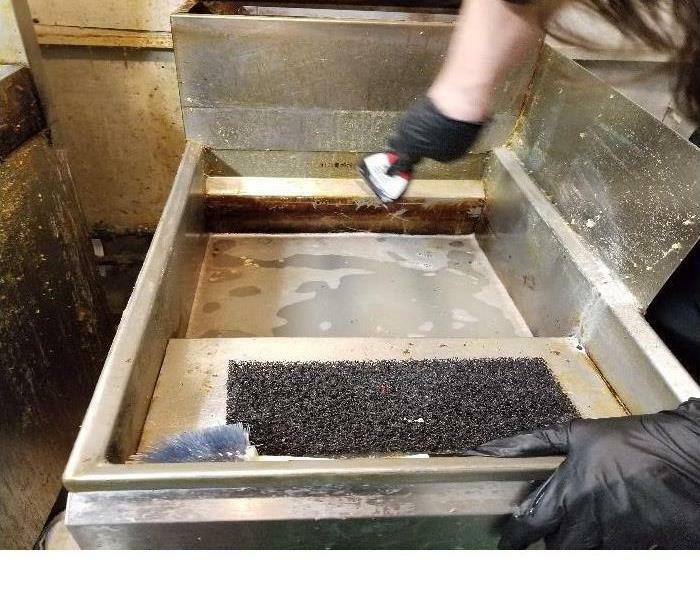 A local business asked up to clean their kitchen equipment recently. It's important to keep your cooking equipment in tip top shape in order to ensure the best cooking process for your restaurant. This home had a water leak that sprayed underneath their home for some time before they noticed. The turn out of that water and moisture was microbial growth underneath the home. Leaving microbial growth unattended can become a causing factor of rot. In this case, the growth is on wood, so it's good that these homeowners are having the situation taken care of earlier rather than later. 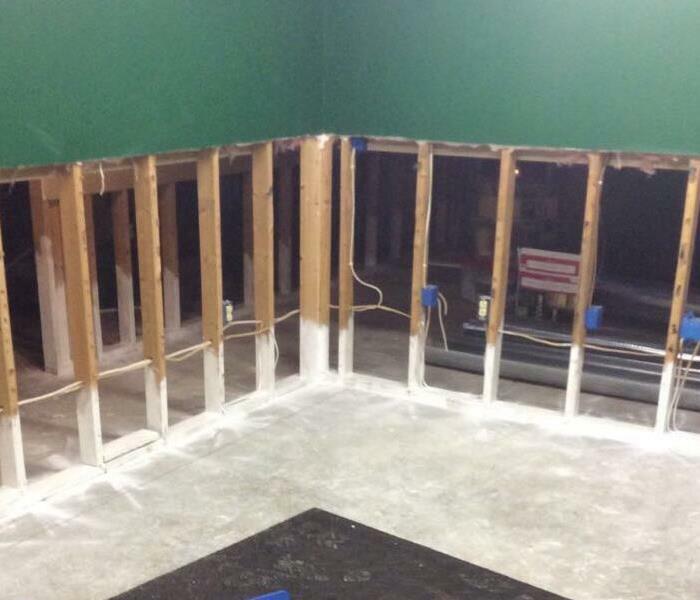 Our crew had to remove the flooring, padding, and sub-floor to expose the entire area of growth. This ensured an easy and efficient remediation. We make sure to specially train our technicians so that the microbial growth jobs are being handled in a healthy and proper way. Water damage, if gone untreated, can create an entire other problem for your home...microbial growth. If you notice that you may have growth, don't try to treat it yourself. The best thing that you can do for you and your family is to call SERVPRO of Hancock County for a test. Our crew members can perform special testing inside and outside of your home. The test results will help our team determine a plan on action. 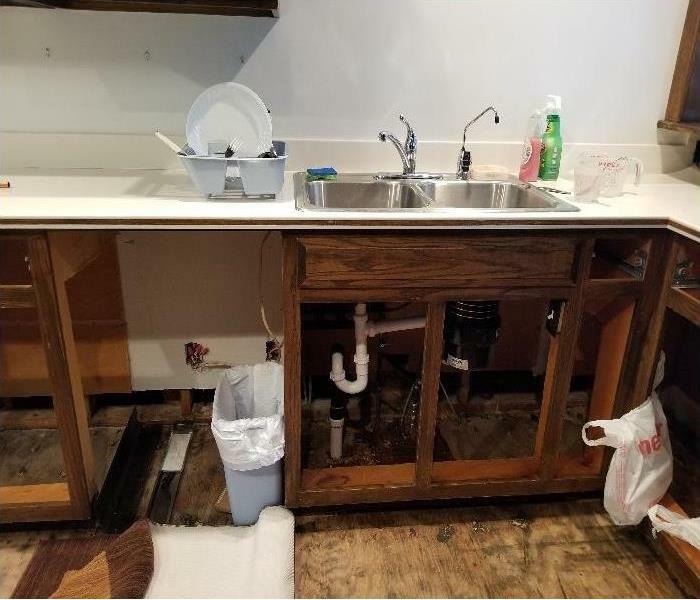 A resident of Carey, Ohio discovered what appeared to be water damage, and in fact is microbial growth as well. Our Production Manager, Chase Perkins, was able to stop by and take a look at the damage that was present. We're currently placing equipment in the home to begin to restoration and remediation process. Our technicians are sure to follow safety standards for not only themselves, but for your home as well. Safety and great service are our priorities when tending to a job site. 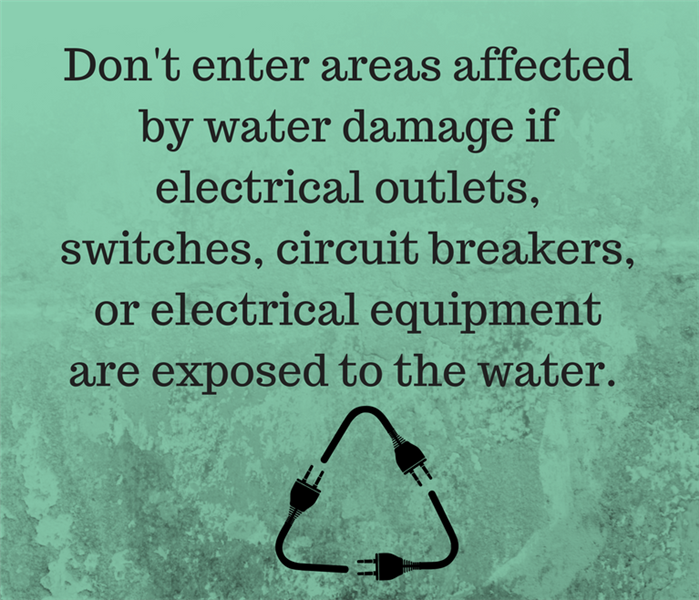 It's important to look out for electrical systems of all kinds when treading through or being near areas affected by water damages. Outlets, cords, boxes, and circuits can all cause serious, and dangerous harm to you and your home. The last thing that you would want is to have a fire happen, all because you weren't cautious of electrical hazards. 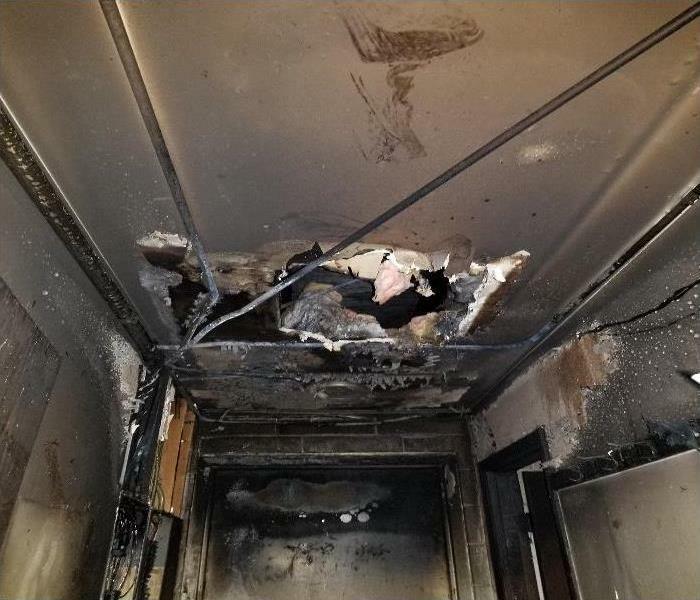 SERVPRO of Hancock County can help you with your water damage needs, and we will be sure that proper maintenance occurs if electrical hazards are an issue. We would much rather help clean up and restore your affected water areas, rather than board up a fire ridden home. Call us at 419-299-3774 for any and all water and fire damage needs. Mold remediation may be needed in some water damage cases. The moisture from the standing water can create a great home for mold spores. It's important to call us immediately if you notice any possible microbial growth, as our experts can perform a microbial growth test and treatment, if needed. When water damage occurs, there is always a possibility of microbial and/or fungal growth in or around the affected areas. 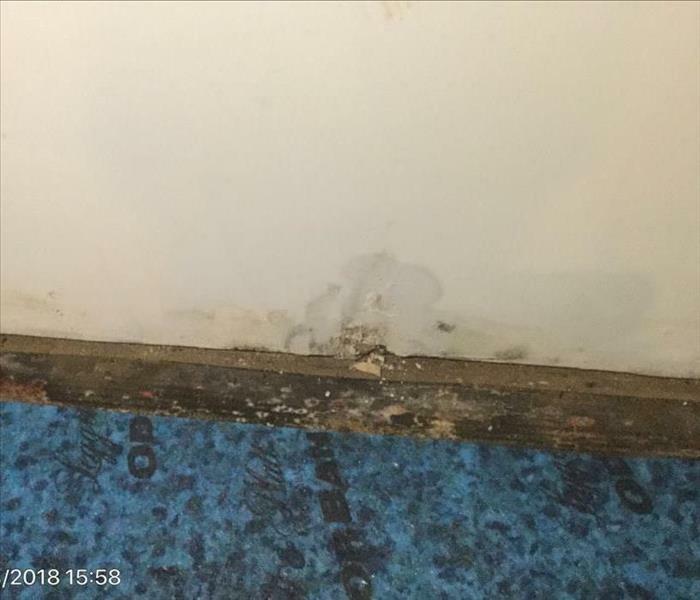 In this case, a family's home was affected by water damage, which resulted in some underlying affects, such as this possible microbial growth. 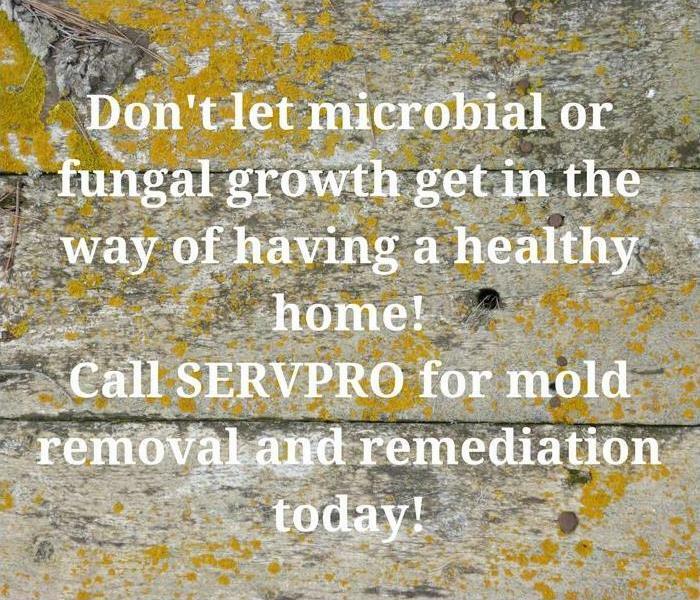 Never let microbial or fungal growth go untreated. SERVPRO of Hancock County has professional experts that can provide excellent mold remediation for your home or business. Visit our blog about Understand Mold for more information. Our team made a trip to Texas in 2017 to assist with damages in Texas. 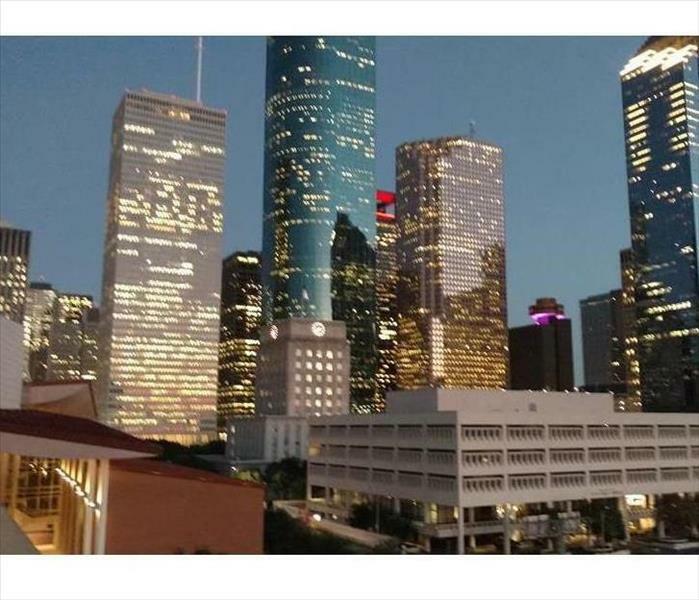 Hurricane Harvey affected many families. 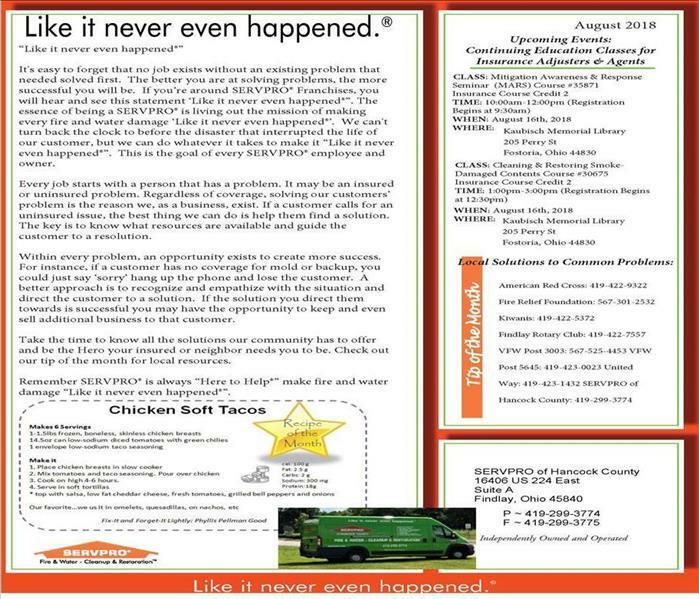 SERVPRO of Hancock County was glad to help get those families back on track to their normal lives! 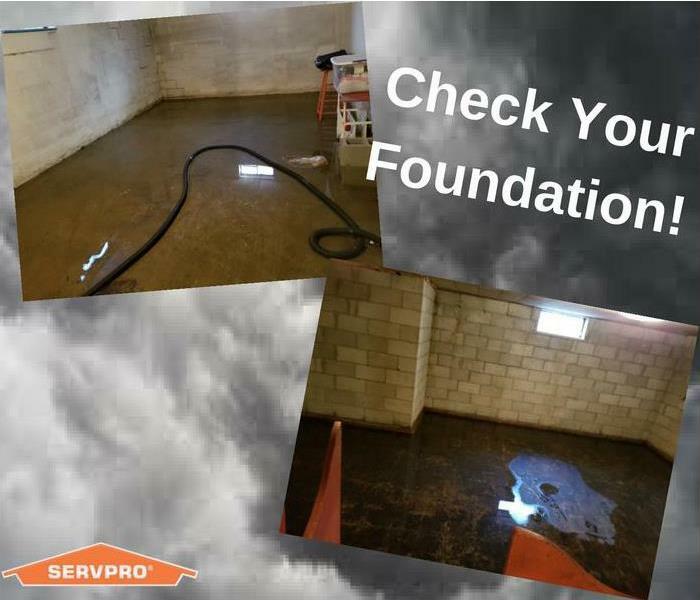 Did you know that having foundation cracks can wreck havoc when there's a storm, whether it's snow or rain. The foundation of this home has cracking and shifting, which lead to water damage from a snow storm. When snow begins to melt, the water is absorbed into the ground, and eventually into the areas around your home. 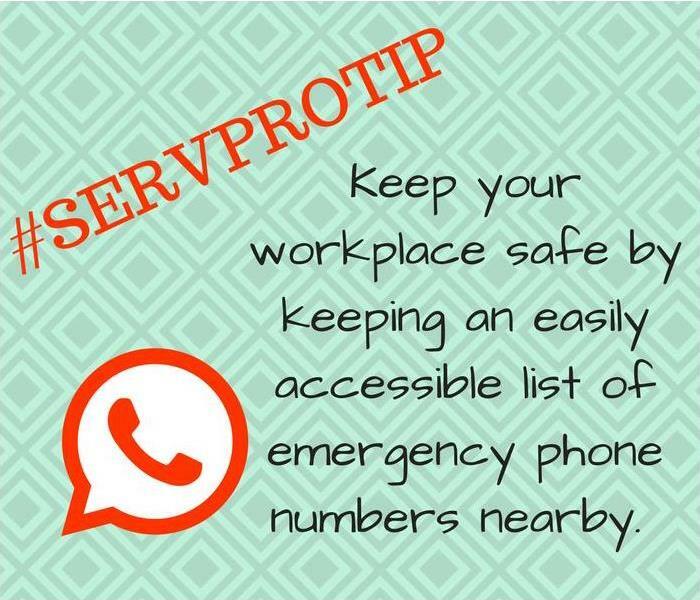 Did you know that we feature weekly SERVPRO Tip's on our social media? This specific tip could lend advice to those who work in any industry! It's always important to keep note of emergency contacts near phones in case there is a disaster. It's important to understand the various types of storms that we get here in Northwest, Ohio, and how to prepare for them properly. Refer to our recent blog post Understanding The Storm to learn more about storms and what can happen. Sewage backup can lead to water damage in or around the home. 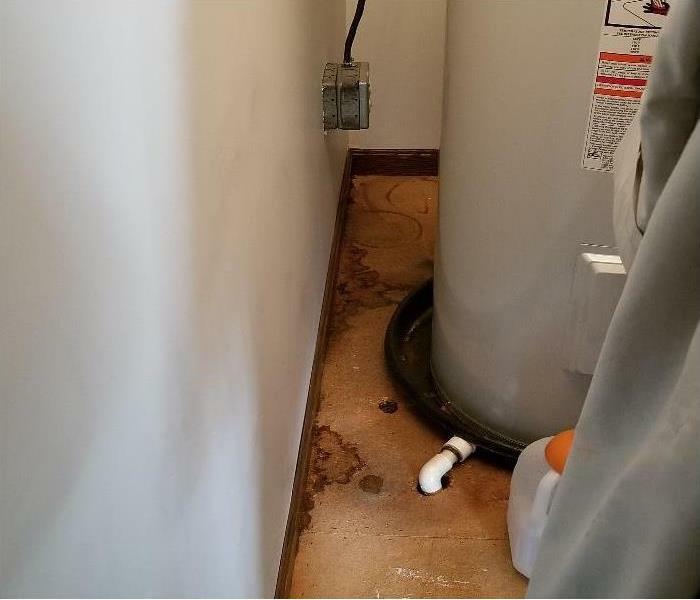 In this case, sewage backup caused the flooring of this homeowners bathroom to be removed. Our team was efficient and handled the job with professional and expertise. The homeowners are now happy with the way their home looks! Reopening your business in a timely and efficient manner is our #1 priority. We strive to provide you with professional business every time, and we'll always make you feel "Like it never even happened." A local business was devastated by a fire this week. 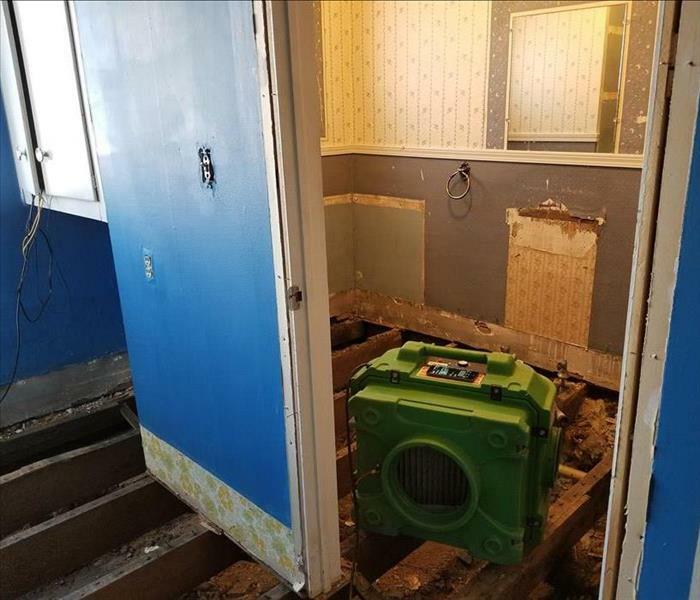 Luckily, SERVPRO of Hancock County was able to be the heroes on this job! 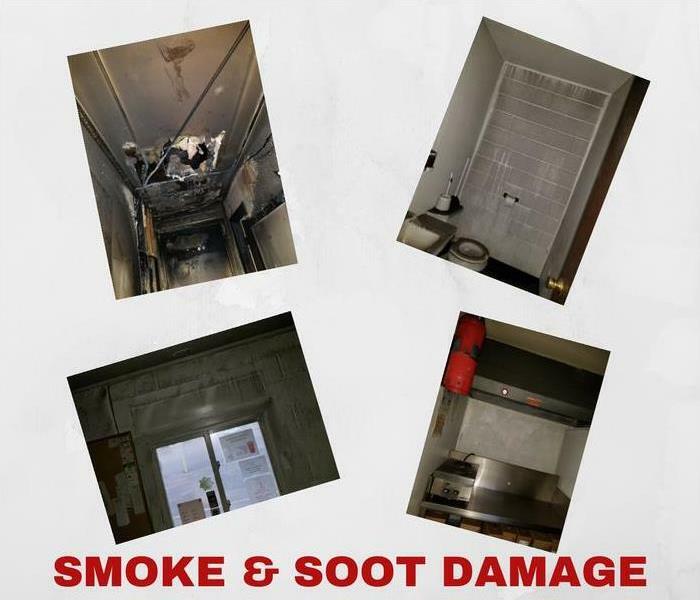 A fire can cause smoke and soot damage to not only your contents, but your walls, floors, and more. 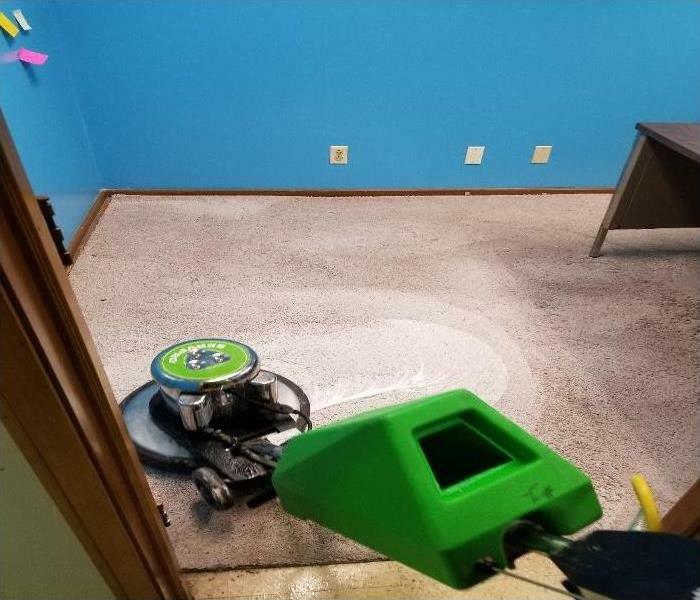 The experts at SERVPRO of Hancock County will be able to help this local business and have them up and running in no time! 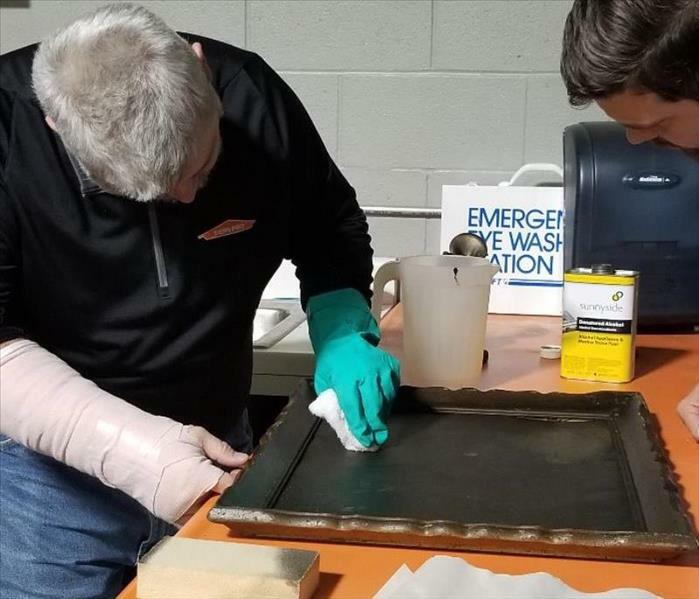 The experts at SERVPRO of Hancock County are certified through the IICRC to clean and restore fire damaged contents. Contents may become damaged by smoke and soot in the event of a fire. Call SERVPRO today if you sense that you may have growth in your home. Provide a safe and pleasant environment for both your family and your friends with our mold remediation process. Did you know that SERVPRO of Hancock County serves more than local homes? We serve Hancock County commercial businesses as well! Visit out Commercial Tab on our website to see an in-depth list of services that we can provide your local business. 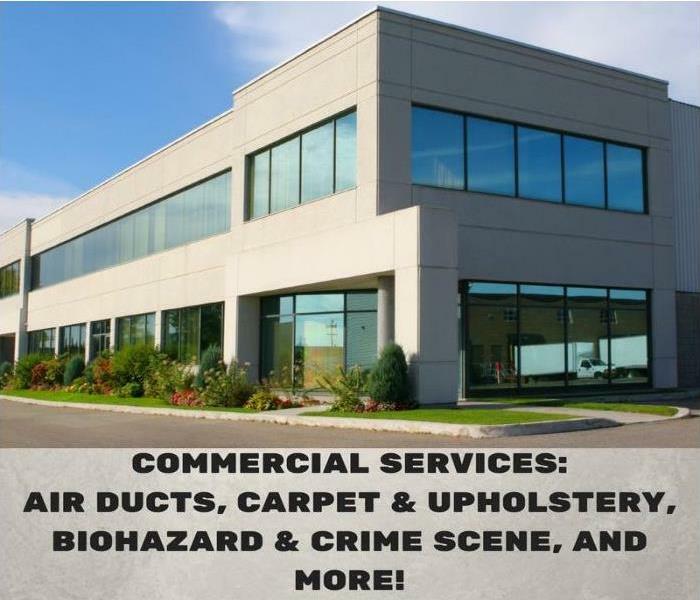 From basic carpet cleaning to biohazard & crime scene cleanup, we can do it all! 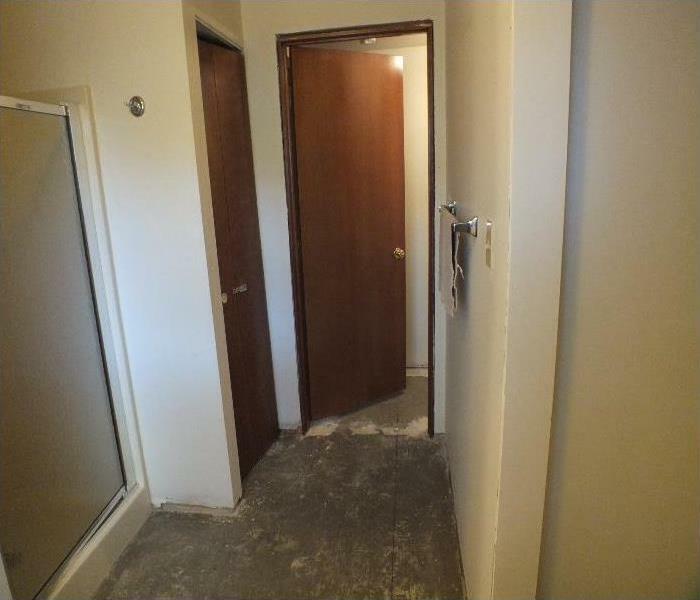 This doorway leads to a basement where there was a massive amount of standing water and damage from a broken pipe. Part of the water cleanup and restoration process includes drying. The drying process requires advanced hot air drying systems that quickly eliminate the water and moisture in the affected area(s). 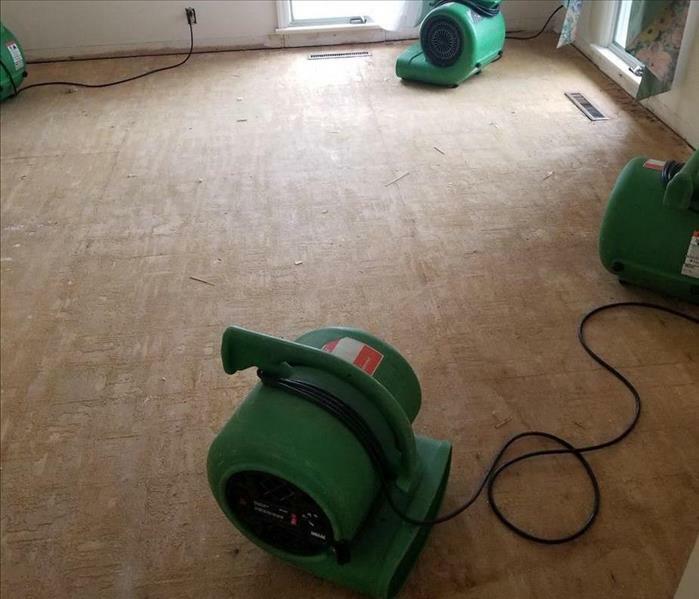 While the drying equipment is doing its magic, the SERVPRO team will monitor the walls, ceilings, and floors to make sure that the equipment is dehumidifying and drying the area effectively. 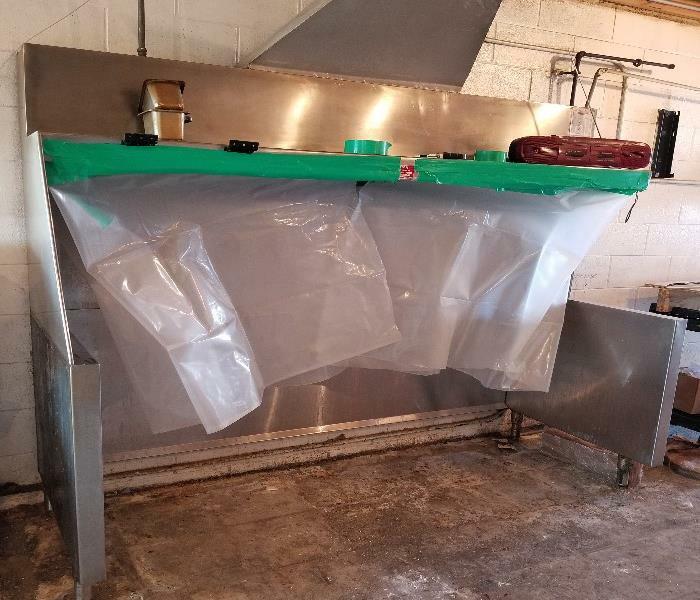 Once the drying process is approved by the team, the equipment will be removed and the area will be monitored once more. 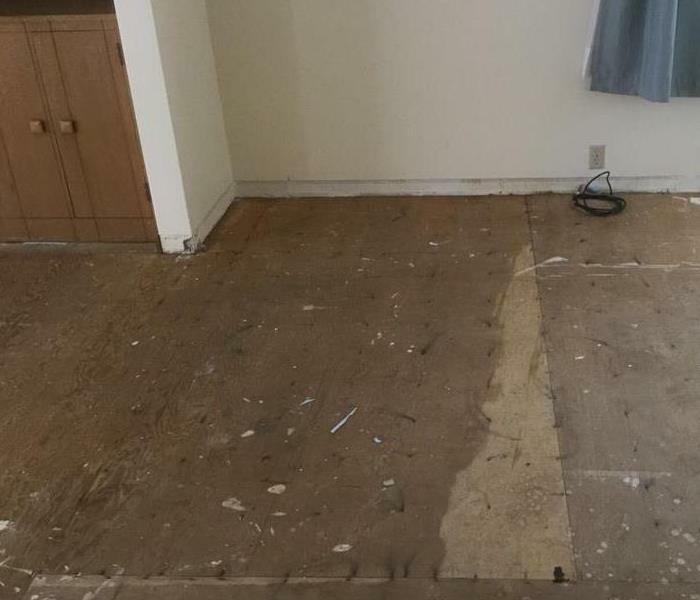 A water damage caused this flooring to be removed by our expert technicians. Sometimes areas affected by water damage cannot be saved, and this happened to be the case here. 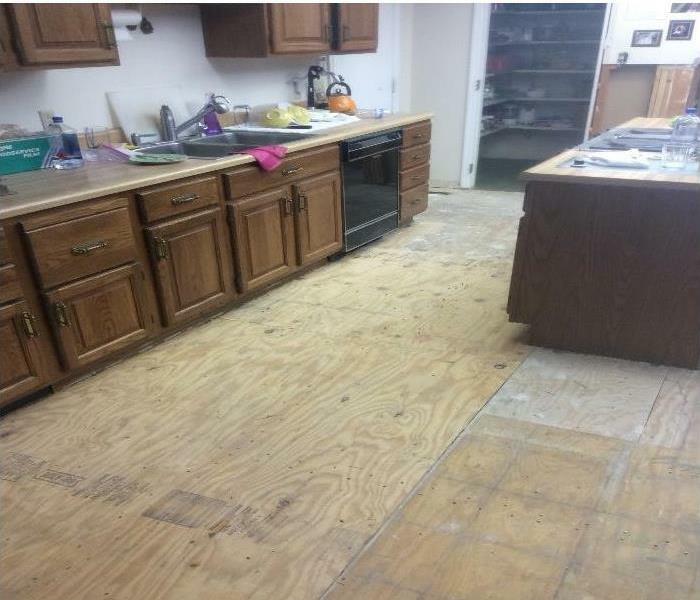 A homeowner was sad to lose her handmade wood floors, but happy that our service team provided great customer service and finished the job as timely as possible! There may be some cases in which walls, ceilings, and floors cannot be saved. 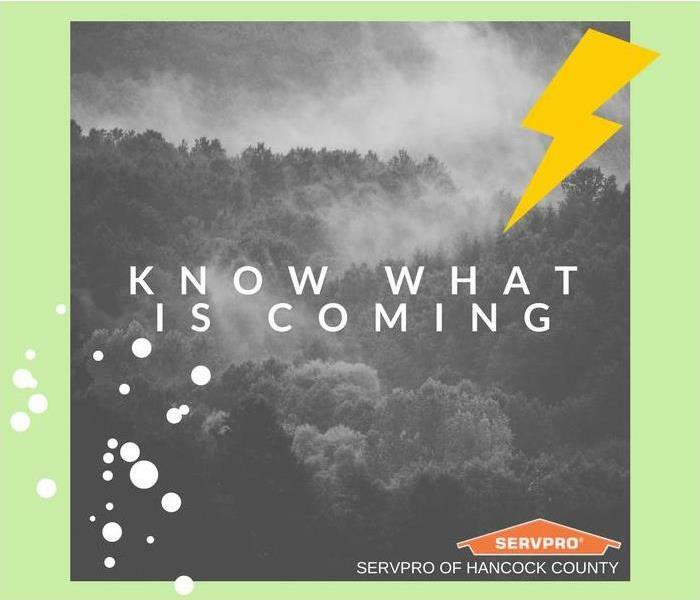 In this case, the SERVPRO of Hancock County team will perform demo to the affected areas in order to prepare your home for renovations. Our Franchise Owner (Rick Franks) and Office Manager (Kasey) use the same professional technique that art conservatories use around the world to restore artwork after it has been damaged. 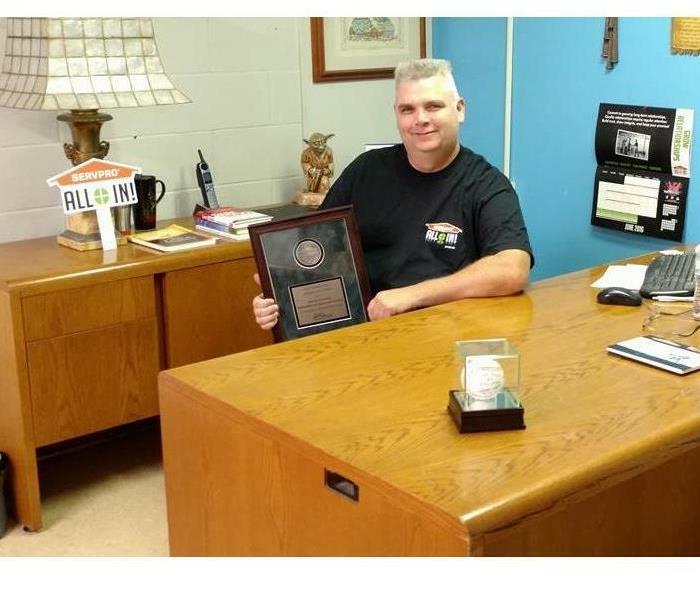 Rick is certified through the Institute of Inspection Cleaning & Restoration Certification (IICRC) as a Master Textile Cleaner. 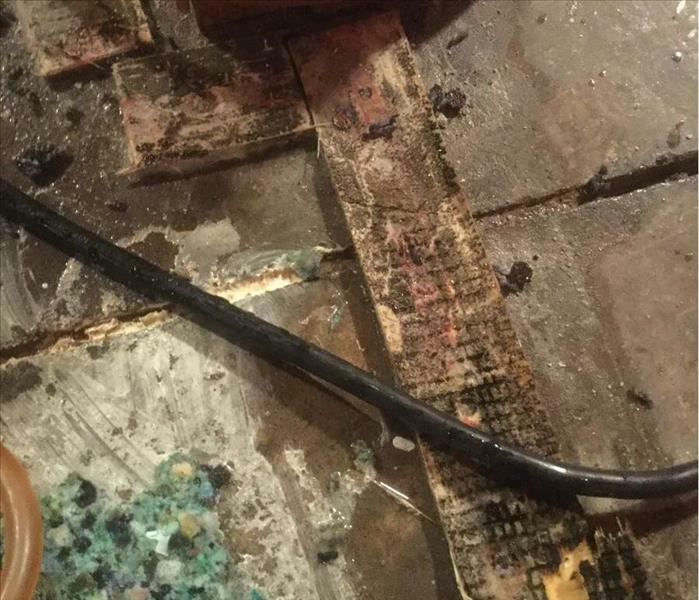 This home experienced a pipe burst while they were out of town. This pipe ran for two weeks before anyone had found it. The ceiling here has damage, as well as the floor right above this ceiling. It's important to have someone check on your home if you're going to be away for an extended period of time. 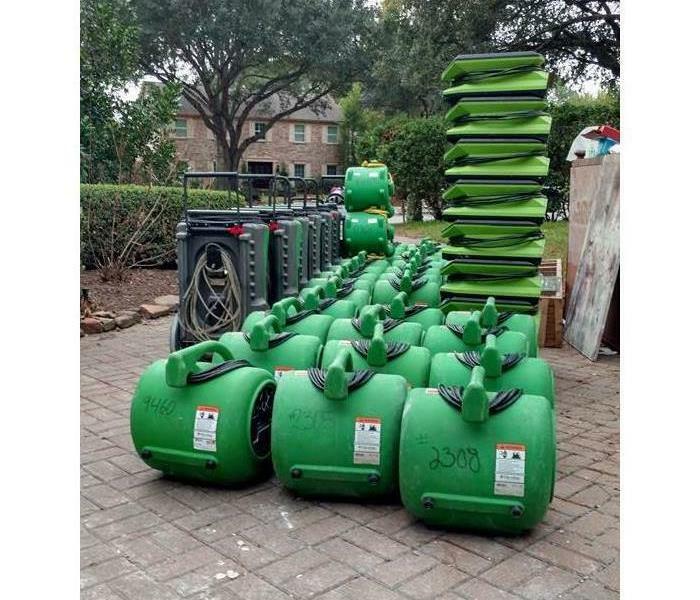 Be sure to call SERVPRO of Hancock County if you experience any type of water damage. We're faster to any disaster! Our Sales & Marketing Manager performs ERP's for local businesses. Emergency Ready Programs can help to assist you and any response teams that may need to enter your building at any time. 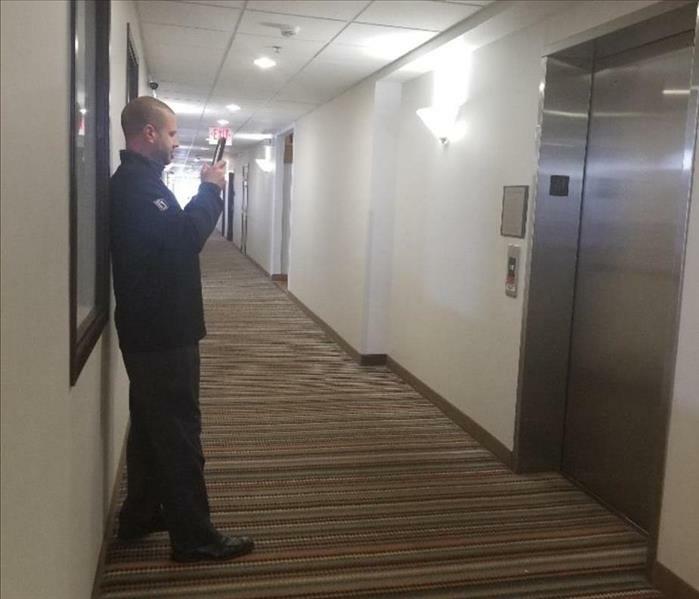 Photos of all exits, elevators, stairs, valves, and electrical areas will be taken and added to your company's Emergency Ready Program Book. 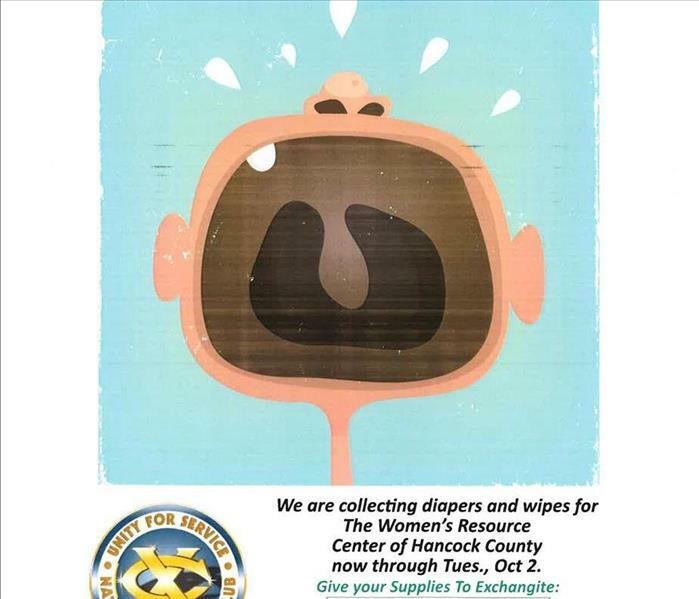 SERVPRO of Hancock County takes pride in serving our community, and we see this as another step toward keeping our citizens prepared and safe. The Emergency Ready Program is completely FREE, the only cost is a few minutes of your time. One of our many specializations is restoring storm damaged property. In the event of a storm, there are not many options when it comes to prevention. The decisions are made once the damage is done. We're here to relieve the stress that after-storm damage can cause both your property and your family. 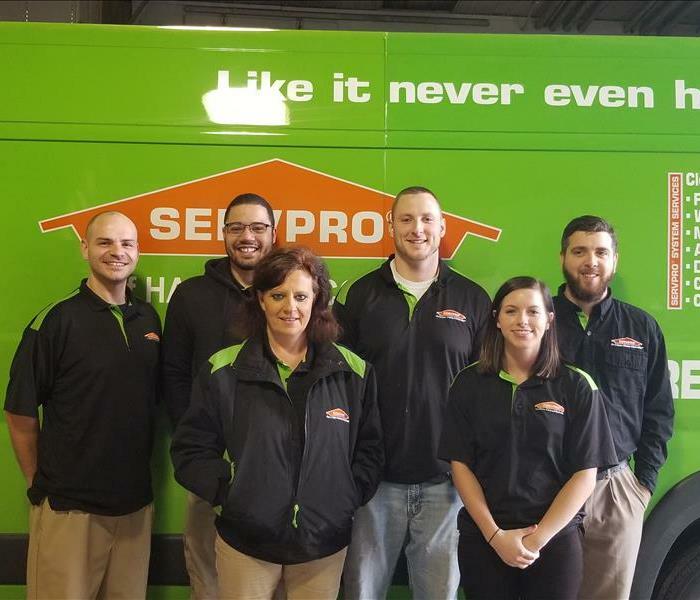 Our team at SERVPRO of Hancock County is dedicated to providing the community with quick and accurate service. Our technicians are highly trained in fire and water damage cleanup and restoration, and our office staff is dedicated to reaching out to you and making sure that you're experience is flawless. Both our production crew and our office members, provide our customers with high quality customer service. Richard (Rick) Franks pictured here, accepting his 2016 President's Silver Volume award! Rick has developed a great staff, full of highly trained technicians to perform Fire and Water Damage Cleanup and Restoration. 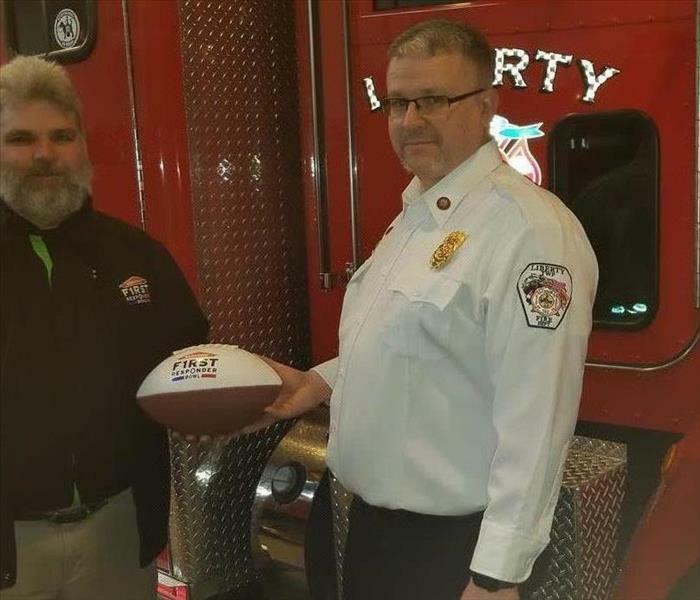 SERVPRO® of Hancock County proudly employs technicians who are highly trained and use expert skills when cleaning and restoring fire damaged areas and items. 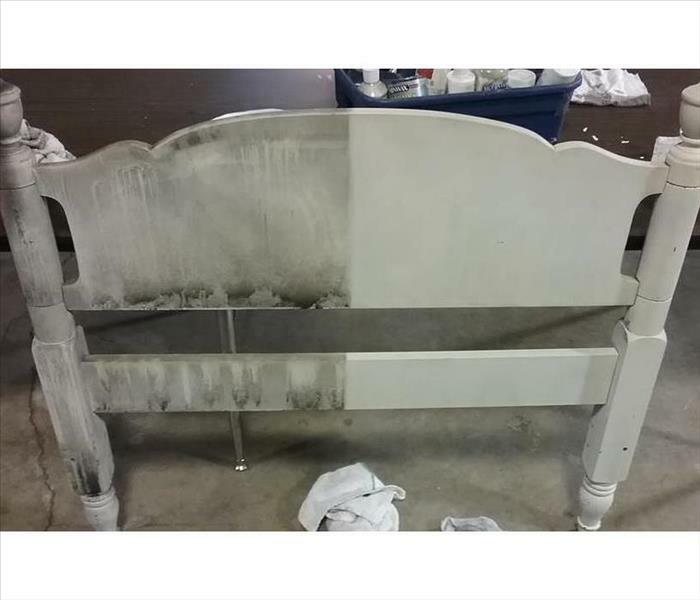 This headboard was able to be saved thanks to our great team members! Here is a glimpse at some of the industrial equipment that our team uses to restore your home to "Like it never even happened®." condition. Our technicians are highly trained to use this equipment, along with expert techniques. 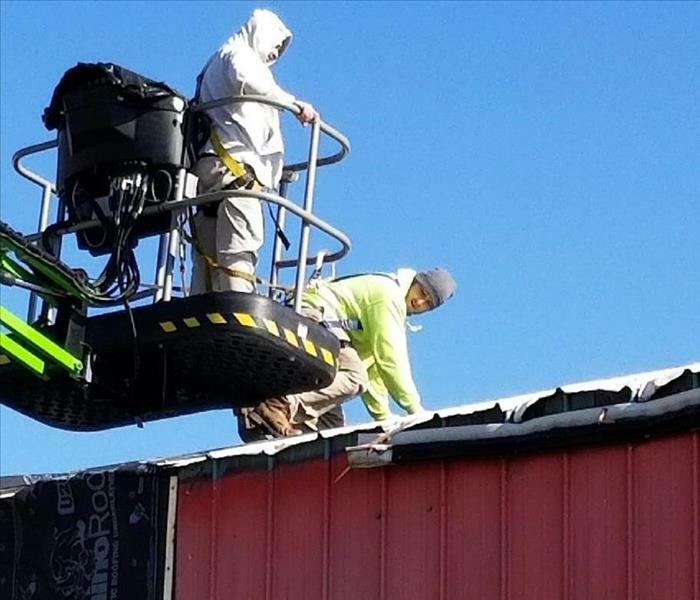 Our SERVPRO® of Hancock County team members lending a hand on a fire cleanup job site. 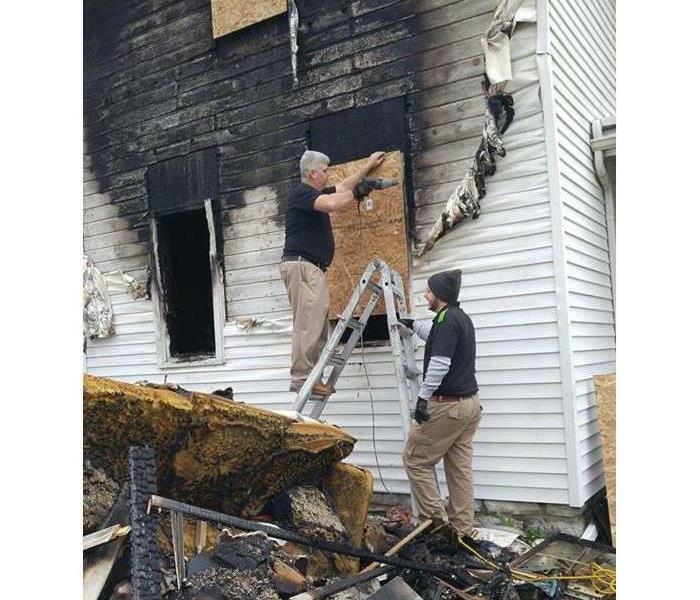 In this photo, the two are boarding up a home, STEP 3 of our Fire Damage Restoration Process. Remember we're here to help, "Like it never even happened®".